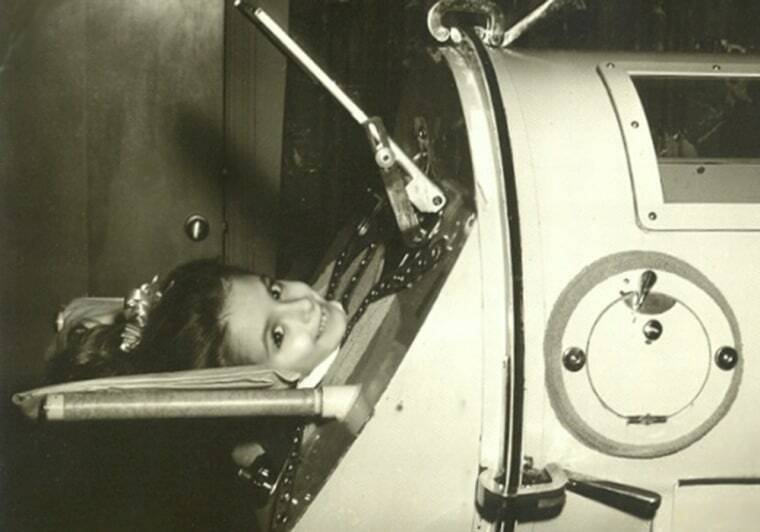 It’s a long way from central Oklahoma to Syria, but one of America’s last iron lung survivors says she’s a living reminder that an outbreak of polio anywhere in the world is a danger everywhere. Martha Ann Lillard, now 65, has spent most of the past six decades inside an 800-pound machine that helps her breathe. News this month that at least 13 children have been paralyzed by a resurgence of polio in Syria — where the disease had been eradicated since 1999 — filled her with sadness and dread, she told NBC News. At least four additional cases have been confirmed in the country, the World Health Organization said Tuesday. “If my mother would have had the opportunity to give me the vaccine, she would have done that,” says Lillard, who was a kindergartner in 1953 when she woke up with a sore throat that quickly progressed to something much worse — a life-threatening infection with poliovirus. U.S. health experts agree. America’s last outbreak of polio was in 1979, and though risk of reintroduction of the disease is low, they say that growing pockets of unvaccinated children are raising concerns that people may have forgotten the panic over the disease that crippled Lillard — and how easily it could return. “Scenarios for polio being reintroduced into the U.S. are easy to image and the disease could get a foothold if we don’t maintain high vaccination rates,” says Dr. Greg Wallace, a team leader for the Centers for Disease Control and Prevention, where he heads the measles, mumps, rubella and polio epidemiology branch. What you have, according to the World Health Organization, is more than a dozen children permanently paralyzed in Syria, where conflict and a humanitarian crisis have interrupted inoculation efforts that provide a lifetime of protection with just a few doses of vaccine. It’s a heartbreaking setback in a battle against a disease that’s on the verge of eradication worldwide, with polio still endemic in only three countries, Afghanistan, Nigeria and Pakistan, WHO says. Infectious disease experts in Germany this month warned that Syria’s outbreak could endanger Europe as tens of hundreds of refugees flee the war-torn country and settle in places that have been polio-free for decades. That idea alarms Lillard, who is one of an estimated six to eight polio survivors in the U.S. still using iron lungs, according to Joan Headley, executive director of Post-Polio Health International, an advocacy group. Their numbers have dwindled steadily since 1959, when more than 1,200 people in the U.S. relied on the machines that use negative air pressure to passively move air in and out of lungs weakened or paralyzed by the virus. Lillard, who also shared her experience in a public radio interview, says she remembers well the sheer fear her illness caused in her rural Oklahoma town. The first known outbreak of polio in the U.S. was in 1894 in Vermont, but it’s the epidemics in the 1950s that scarred the nation. In 1952, a record 57,628 cases of polio were reported in the U.S., and between 13,000 and 20,000 people a year were left paralyzed, records show. Poliomyelitis is a viral infection of the spinal cord that mainly affects young children. The virus is transmitted through contaminated food and water. Most people who are infected develop no symptoms and don’t even know they’ve got it. But in about 1 in 200 cases, the virus destroys the nerve cells that activate muscles, causing irreversible paralysis, usually in the legs. It can paralyze breathing muscles, too, sometimes causing death. Only the vaccine developed by Dr. Jonas Salk and introduced to a waiting nation on April 12, 1955 stemmed the fear and tamed the virus — but that came too late for youngsters like Lillard. She has spent most of her life inside one of several long metal cylinders in which she’s enclosed with an airtight seal, with only her neck and head sticking out of a foam collar. She has switches inside —along with a goose down comforter and nice sheets — to allow her to roll a tray-like cot in and out. Lillard owns her iron lung, which was built in the 1940s and runs on a fan belt motor that friends help patch together with car parts when it breaks. Lillard taught herself with great effort to walk again and she’s able to leave the respirator — but she often doesn’t want to. She says she has tried the portable positive pressure ventilators that most polio survivors use. Those devices force air into the lungs, often through a tube in the throat. But Lillard says the harsh air from those devices causes “tremendous amounts” of inflammation and worsens asthma caused by post-polio syndrome, a debilitating condition common among many polio survivors. The devices are also difficult to keep clean and could introduce life-threatening bacteria into her vulnerable system, says Lillard, who is 4-foot-9 and weighs just over 100 pounds. In fact, Lillard is a chatty, outgoing woman who dotes on her three beagles and lives with a housemate so the two of them can take care of each other. She keeps in touch with the world by phone and computer and says she has had to learn to endure in spite of her crippling illness. Lillard says she knows she’s an anomaly in a U.S. society that barely remembers the scourge of polio. In 2004, there were 39 people still using iron lungs, and by 2010, perhaps a dozen, experts say. But with polio back in Syria — and in Cameroon, where it hadn’t been detected since 2009, the WHO reported this week — Lillard says she wants to make sure that people never forget. NBC News researcher Donna Mendell contributed to this story.